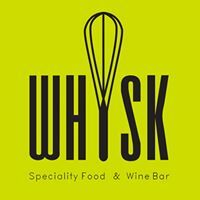 Whisk Wine Bar is laid back venue that offers quality food and beverages in a relaxed environment. With a kids entertainment area, restaurant and Ireneâ€™s hippest bar. Whisk Wine Bar is a unique venue that caters for all kinds of tastes. We have one of the widest varieties of spirits in the Pretoria Area. Our food is served fresh and include a few family secret recipes that will bring you back for more.